Now replaced by Windows Phone, Windows Mobile Professional was the higher-end of Microsoft's two older mobile OSes, offering touch screen capability and more powerful apps, compared to Windows Mobile Standard. Google recently rolled out a new version of its dedicated search application for the Windows Phone platform. The application adds Google Instant and autocomplete, voice-dictated searching, and the ability to see what's nearby without actually searching for anything. The update is free and available from the Windows Marketplace for Mobile. Nokia has confirmed that the PureView camera technology first revealed in the 808 PureView Symbian smartphone will eventually make its way to the Finnish phone company's Lumia Windows Phones. "PureView imaging technologies [will] be used to deliver high end imaging experiences in future Nokia products," said Nokia representative Chris Hollis to Phone Scoop in an email. "Since Nokia is committed to Windows Phone as its primary smartphone platform, that includes plans to bring PureView imaging experiences to Lumia over time. No details of products or timelines have been confirmed." Hollis' statement echoes comments made recently by Nokia's Jo Harlow, who told Finnish newspaper Aamulehti that it won't be long before the technology appears in Lumia smartphones. Samsung indicated this week that it is prepared to significantly increase the investment it is making in its homegrown Bada operating system. Right now, the mobile OS is only available in Samsung's home market of Korea, where it had sold more than 10 million units. It wants to make Bada a viable alternative to Google's Android platform. Samsung said it will continue to offer smartphones running both Android and Microsoft's Windows Phone. It plans to eventually have an entire range of Bada phones available. Kineto Wireless today announced Smart VoIP, a new over-the-top VoIP application that can be used by wireless network operators to compete with the likes of Skype and other mobile VoIP services. Kineto says that the application works over Wi-Fi, 3G, and LTE; can be tied to a carrier's core voice network; and uses the carrier's existing IMS voice infrastructure. The application works with a number of smartphone platforms, such as Android, iOS, and Windows Phone. Smart VoIP can be branded by the carrier and offered via the carriers' own app store to customers. Kineto is positioning the application as a way for carriers to keep customers using its services rather than just its network. Research In Motion today provided an update to the Bridge application used to connect BlackBerries with the company's PlayBook tablet. The new Bridge software makes use of the HID Bluetooth profile to turn BlackBerry smartphones into remote controls for other HID-capable devices, such as the PlayBook, Android tablets, Sony PS3's, and Windows and Apple PCs. The updated Bridge software was released in coordination with the availability of PlayBook OS 2.0 for RIM's tablet. It is a free download from BlackBerry App World. Cisco has appealed the European Union's approval of Microsoft's purchase of Skype. Cisco argues that "the European Commission should have placed conditions that would ensure greater standards-based interoperability, to avoid any one company from being able to seek to control the future of video communications." The EU originally approved the deal in October of 2011, and the U.S. approved the deal in June. 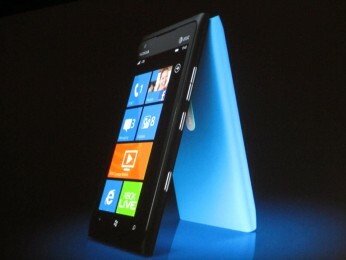 Microsoft is working to incorporate Skype into its Windows Phone platform, in addition to other products. Facebook today announced the availability of a new version of its mobile application for Microsoft's Windows Phone platform. Facebook version 2.3 makes a number of changes, including new panorama and profile designs, improvements to the performance of the news feed and navigation, as well as banner images, pages, groups, feed filters, privacy controls, and the ability to see "Likes." Facebook 2.3 is available in the Microsoft Marketplace for mobile. Microsoft recently made a version of its OneNote note-taking application available to Google's Android platform. The application allows users to take notes on their phone (up to 500), which are then automatically synced in the background to a user's SkyDrive account. OneNote for Android requires a Windows Live ID and a device running Android 2.3 and up. In order to sync notes to a PC, users will need a copy of Microsoft Office 2010. The application is free. Nokia's most recent quarterly results show that Microsoft paid the company $250 million for adopting Microsoft's Windows Phone 7 platform. "Our broad strategic agreement with Microsoft includes platform support payments from Microsoft to us as well as software royalty payments from us to Microsoft," said Nokia. "We have a competitive software royalty structure, which includes minimum software royalty commitments. Over the life of the agreement, both the platform support payments and the minimum software royalty commitments are expected to measure in the billions of U.S. dollars." Nokia reported that it has sold more than one million Lumia smartphones to-date, but it recorded a loss for the quarter of $1.4 billion. Nokia today said it is distributing a system update to the Lumia 800 that addresses battery performance and Wi-Fi connectivity. The update will be rolled out over the next two weeks via the Windows Phone Connector application. "North America is our priority market," said Fujitsu Senior Executive Vice President Hideyuki Saso in an interview with AllThingsD. Fujitsu sells Android and Windows Phone smartphones in Japan, but has yet to tackle the US market. It is looking at how to enter the market in such a way that it isn't just another player. "If we try to do [the] same thing as our competitors, it is going to be tough," said Saso. "We would like to identify the right way of entering the North American market that would make use of our technology and expertise to make a steady landing. We don't want to be just another mobile phone. We want to be special." Some of the features available on Fujitsu's smartphones in Japan include water proof models that are very thin.